Apple iPhone 8 dummy unit leaked. Home Apple Apple iPhone 8 dummy unit leaked. Apple is busy with its most rumoured smartphone iPhone 8 which is scheduled to launch this year. With back to back leaks of the device, Apple is preparing hard to get back the market shares which they have lost.With iPhone 8 there will be also iPhone 7S and 7S Plus to launching with it.As Apple is celebrating the 10th Aniversary this year so they have planned to launch the iPhone 8 with iPhone 7S and 7S Plus but there will be a limited quantity of iPhone 8 as per earlier leaks tell us that there is the lack of OLED panels.Now we have some more leaks about the next gen iPhone 8 dummy unit video which was leaked on YouTube by leakster @OnLeaks. 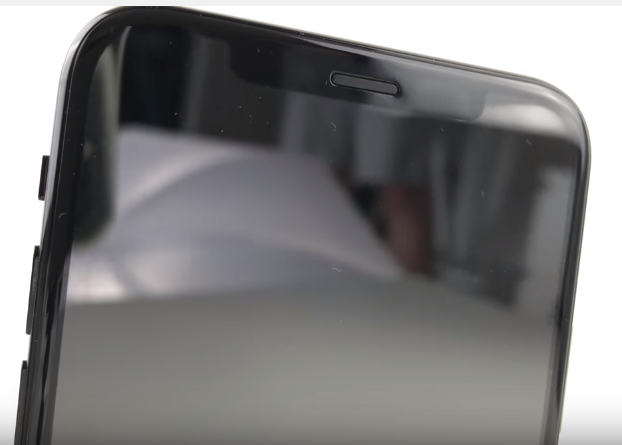 @Onleaks revealed the video with partner Tiger Mobiles, as the leakster as a very good record of accurate leaks earlier so this might not be fake.From the above Video, we can see the iPhone 8 with metal and glass design similar to previous leaks. It has a bezel-less display and has slightly less bezel on front camera and some sensors.The dummy iPhone 8 measure 143.5 x 71 x 7.5mm.iPhone 8 is larger than iPhone 7.There is no 3.5mm audio jack in this too. It has the Volume rocker and silent key on the left and Power button and SIM Tray at the right of the device. At the back, we can see the vertically aligned dual camera setup with LED flash between the two cameras, similar to previous leaks. There is Apple logo below the camera module.iPhone 8 has 5.8 inches OLED display. As there is no physical Home button at the front and nothing at the back too we can expect it to have similar to Vivo XPlay 6, fingerprint sensor embedded under the display.But as per some rumours, Apple is facing issue to put the optical fingerprint scanner and it may replace the fingerprint scanner at the back.It will run iOS 11 out of the box.It might support wireless charging too. We have to wait a bit longer as Apple may launch the iPhone 8, iPhone 7S and 7S Plus in September. Previous articleGoogle to launch mid-range smartphone for Project Fi. Next articleXiaomi Redmi Pro 2 leaked.